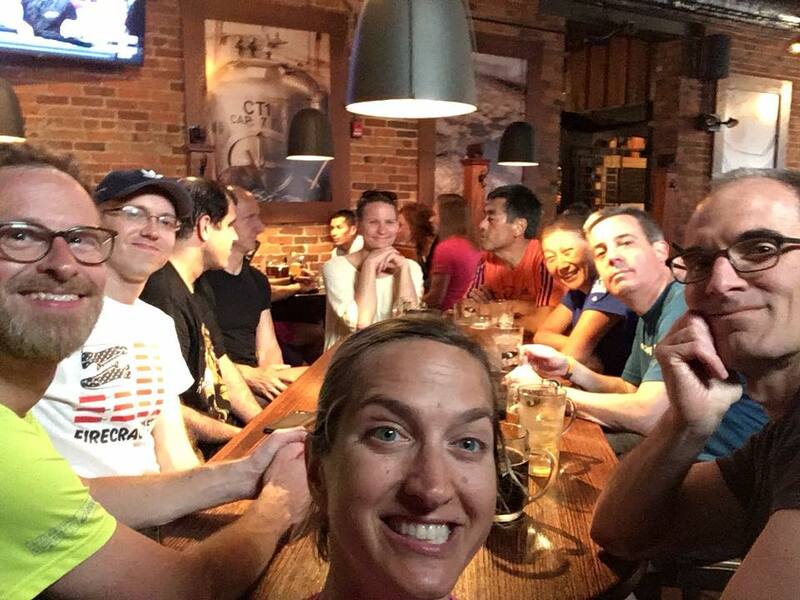 There’s a reason why PR is sort of the speakeasy of Ann Arbor’s running community. 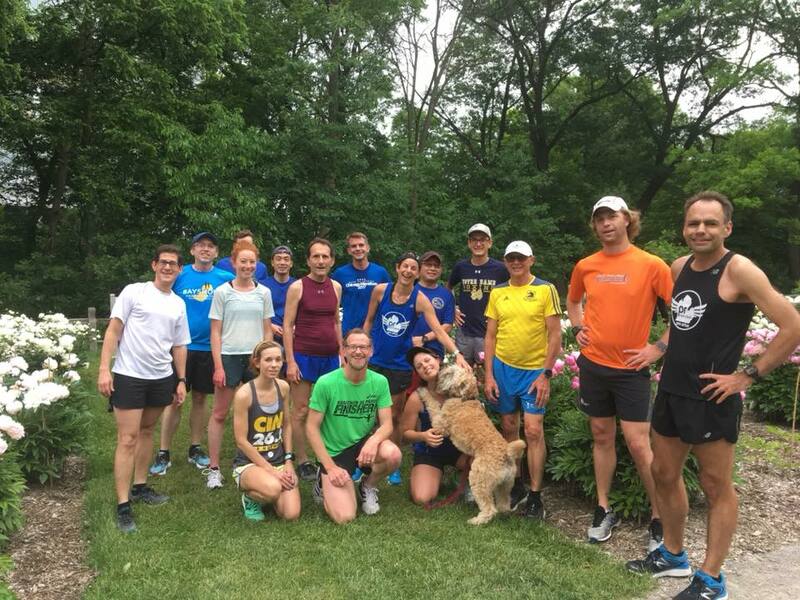 Even if you are an Ann Arbor regular, you may not be aware of PR Run Club. We have a studio downtown, but no sign. We have a logo, but it’s elusive. But if you are a runner, chances are you’ve heard of us. Some say we are a little obsessed—a little "intense." Whatever bad things you’ve heard, it’s not true. Well, at least not entirely. My wife, Colleen, and I stumbled into ownership of the club in 2016. I say “stumbled” because to us it felt like a last-minute rescue. On a cold, snowy evening in January 2016, we met with the group’s founders to discuss the future of the club they—Marie Wolfgram-Morgan and Rob Morgan—established as part of a personal fitness business that began upstairs above a Lululemon in downtown Ann Arbor. They were moving to Los Angeles and the club was going to dissolve; we wanted to keep PR going. When we first discovered PR Run Club, we were both ready for a group of like-minded runners eager to excel at marathons. We both wanted to improve our marathon times. I had run three; Colleen had run two. As we discovered, Marie and Rob had made PR a proving ground for runners who wanted to run the king of marathons: Boston. And we caught this bug, too. Completing a marathon is hard. Qualifying to run a marathon is usually a big step beyond, because it is no longer an endurance trial. It’s a race. And Boston is especially difficult, particularly for younger runners. Most people need guidance, and almost everyone needs significant training. Because we had used the knowledge, skill, and companionship of fellow runners at PR, both of us eventually achieved a goal we hadn’t even entertained just a few years earlier: the magical BQ. When we realized that others could benefit from the club’s activities, we committed to keeping the club alive. And alive it is: With a downtown studio space, more than 75 active members, and several hundred people on our mailing list, PR Run Club is on our minds every day. We organize and stage group running activities, including at least four weekly running events that take place outdoors. We volunteer at events, assist with races, and stage team entries at several races each year. Despite being a friendly group, some people still think we are "too intense" for them. Sure, some of our runners are fast, but most got that way by training with our group. Yes, we run outside all year long. No, we don’t race each other all the time. Well... sometimes. So why do I run? It used to be for me, then it was for Boston. Now? it’s for PR.